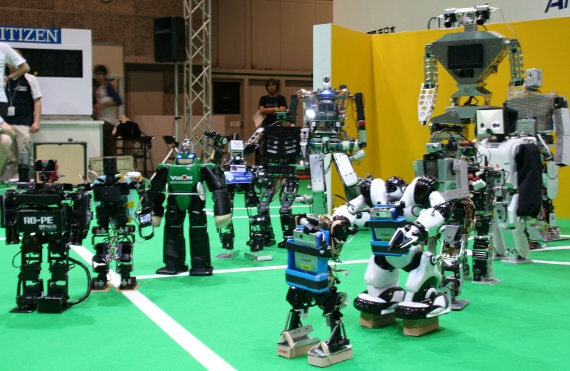 RoboCup is held annually across the world. It’s a serious competition, but these autonomous robots provide laughs as well. Something about these little bots is undeniably heart-warming. For more information about RoboCup, check out the official website, or the Wikipedia entry for a brief overview. I absolutely love the organization’s official goal.